If your character is more inclined to cast spells than wave around a weapon, or you need to complete the questline so you get achievements on xbox, this guide will help you rank up through the Mages Guild. Be warned that there are many enemies to fight against, even though this isn't for fighting, like the fighters guild. This questline is a bit of a puzzle compared to the fighters guild (in my opinion) and requires a bit of hand waving as you cast spells and beat things with your staff (once you make it, that is). Here are the specialties for the guilds in case you want to get a spell to level up a certain skill or you are looking for an upgraded version and can't find it in any of the stores you've tried. This is by far the easiest rank to obtain as it really only involves talking to a guild leader and choosing to join the guild. Once you join the guild though, you won't rank up without doing quite a bit of work. The leader you join from tells you that you have to get a recommendation from the leader of every major guild hall. Minus the Imperial City and Kvatch, there are seven total quests. But that's in the next section. Just to be easier on you, and me, I'm going to list each city in alphabetical order. You can do them in any order you wish, I recommend starting with whatever town you are currently in though. Once you complete that one you can go in an order, make your way town by town, or do them as you go to towns for other quests (other guild quests, main quest, you want a house somewhere, etc.). But let's get started on what to do in each town, they aren't very long but there are seven of them. Anvil: Speak with the leader of the Anvil Guild Hall, Carahil, to start a quest and get your recommendation. She tells you about a Rogue Mage that is killing merchants along the Gold Road. She tells you to go to the Brina Cross Inn and speak with Arielle Jurard when you get there. If you talk to her again before you leave for the Inn she gives you three frost shell scrolls, that you can sell or use to protect yourself from the Mage. Arielle tells you it isn't safe to talk and says to rent a room as a merchant, to lure out the mage. Do so and Caminalda will most likely approach you asking if you are a merchant, make sure you say yes. Go off to your room and wait for Arielle, it shouldn't take too long unless she gets stuck against a wall, she tells you to sleep for the night (an hour is enough though). Once you wake up, leave the inn and travel East along the Gold Road until the Mage makes themselves known and attacks you. Make sure you wait for them to talk to you or it will be a murder/assault, defeat them and take their key as the room they have in the inn has some gold in the chest it opens. Return to Carahil in Anvil and tell her the Rogue Mage has been defeated and you are finished. Bravil: This quest is delivered to you via Kud-Ei to retrieve a stolen staff, but sh, it's not exactly legal or some guild rule nonsense. You have to find and talk to Varon Vamori and get him to give back the stolen staff, which is difficult if you aren't in the thieves guild but easier if you use the scrolls Kud-Ei gave you. The special number is 65, get his disposition to that and he'll spill the beans about stealing the staff, even how he sold it to Soris in the Imperial City. Back to Kud-Ei and you get another set of charm scrolls. Once in the Talos District and Soris' house, you have a few options. Buy the staff for 200 gold (requires disposition of 70), talk to Soris' Wife who tells you that the staff is in a chest (really they are drawers) in the basement and the key is in the desk upstairs, or you can skip those steps and just steal it yourself. The wife needs a high disposition though, without the scrolls I couldn't get her high enough without paying her. You could always buy Beguiling Touch from Delphine Jend in the Bravil Mages Guild if you want an actual spell for charming, which is useful for merchants and quests like this. If you don't buy the staff, come back when they are both asleep, and pick the locks or steal the key from the upstairs room and return to Kud-Ei with the staff to get the spell, Captivate (not as effective as Beguiling Touch though), and the recommendation letter. Bruma: Here's a quest that is one of the sillier of the oblivion quests I've found over the years. Speak with Jeanne Frasoric about a recommendation and she'll tell you she can't find a guild member, J'skar. There are two ways to go about this one but I'm going to start with the one I prefer. Pranking. If you talk to Volanaro with a disposition of 70 he will tell you he will help you find J'skar if you help with a little prank. Steal Jeanne's Manual of Spellcraft from her desk and he will show you where he is, he teaches you a spell to open an easy lock, and you can then steal or continue with option two. Return with the book around 10pm downstairs and Volanaro will show you J'skar when you talk to him. The other way is to use Detect Life and Dispel to find J'skar on your own. You may have bumped into an invisible barrier while walking around the Guild hall or if you have detect life on your items you may have seen life somewhere and noticed it says J'skar. Use dispel on him and he will tell you that you aren't any fun and the quest is complete once you speak to Jeanne. The apprentice level Dispel is available in Leyawiin, and Volanaro sells a journeyman level one. Other options are a staff and a scroll, which you can find randomly from loot or possibly buy from the Mystic Emporium in the Market District. Cheydinhal: And now, my favorite of the recommendation quests. 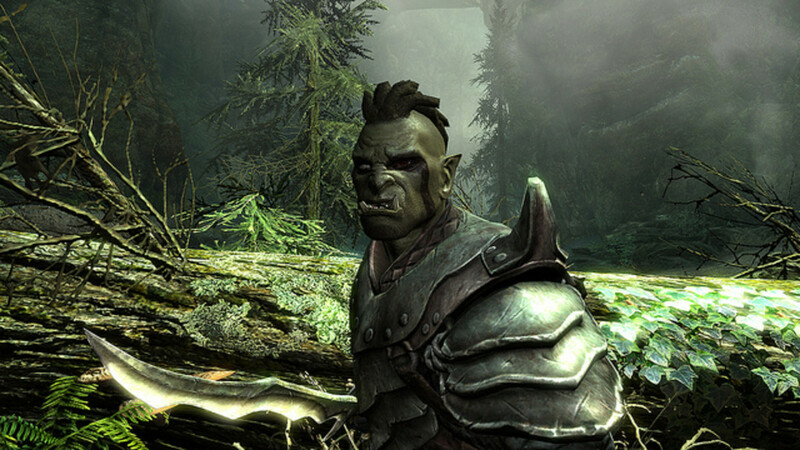 Falcar asks you to find his lost ring, and even warns you about how heavy it is so make sure you sell any unneeded items and store in safe containers if you're still carrying a lot of weight (You need at least 150 free weight to pick up the ring without being over-encumbered). Speak with Deetsan to get the well key and tells you to speak with her only when Falcar isn't in the room. Once that happens you learn you aren't the only one to get this quest, foreshadowing to how you find a tiny ring in a well, and then she gives you the key and a Buoyancy spell to help you. Save before you enter the well in cause of any glitch and enter the well. Use the spell Deetsan gave you, or just a feather spell if you can already breathe underwater, a trickier option is grabbing Vidkun or the ring and dragging it where you can reach the exit, pick up the ring, exit, and drop it outside. Pick up the nirnroot in the well and exit, return to the guild hall, and speak with Deetsan since Falcar seemed to have disappeared. She tells you that the ring can be dropped anywhere so do so and pick up any items you may have left in Vidkun now before you forget. Deetsan also says to look in Falcar's room to see if he wrote you a letter of recommendation (most likely, no, as he tried to kill you). You find two Black Soul Gems instead, a sign of necromancy, return them to Deetsan and she will write the letter instead. Chorrol: Enter the Chorrol Mages Guild and speak to Teekeeus to earn your recommendation for the town of Chorrol. He tells you that someone named Earana is hanging around town and wants you to find out why. Usually she is right outside, talking to random people who hover around the oak tree, so talk to her and she says she wants your help getting a book. Talk to Teekeeus again and he tells you to get the book before she does, so run off to Cloud Top and retrieve it. Just follow the road that goes up the mountain and take a left at all forks until you find the charred remains with the book inside. Now you have two options, one gives you more fame than the other, but both end up with a recommendation in your name. You can give the book to Earana and get only one fame point, but you learn a spell (requires a Welkynd Stone). If you speak to Teekeeus, he asks you to steal it back, which you can without waiting the 24 hours she wants to study it, and then get the recommendation even though Teekeeus isn't pleased. Option two requires you to give the book to Teekeeus and get two fame points, which ends the quest even if it doesn't seem like it does. If you speak to Earana she is angry that you gave it to Teekeeus and asks that you steal it back from him. If you do so you can learn the spell, but it requires more magika than a similar custom spell that you could create in the guild yourself. This is the optional part two of Fingers of the Mountain quest, to learn the spell and is activated when you give the book to Earana. She wants you to let her study the book for a day, 25 hours is better than 24 to prevent bugs, and then she gives you a note (after that time span). If you do this you do need a Welkynd Stone, which can be found in an Ayleid Ruin or the Skingrad Mages Guild Hall. Return to Cloud Top and cast a shock spell at the pedestal, touch or range spell. It will try to shock you back so be prepared or use a range spell and try to hide behind a pillar to avoid the damage. If you want this spell though, best to do it before level 5 unless you have quite a lot of magika, I'd rather make my own spell though. The Welkynd Stone doesn't even get used by this quest so if you are worried about that, then don't. Leyawiin: Speak with Dagail, who tells you that her amulet is missing and she wants you to help her find it. Her next advice is to speak with Agata about the Seer's Stone, which helps Dagail with some visions she has. Agata tells you to speak with the other members of the guild to see if any of them know where the Amulet is, and Kalthar is the only one who seems to know anything. Agata agrees to keep an eye on Kalthar while you speak to Dagail, who tells you to find the fort where her father was stationed and take his amulet. When you reach the fort, Fort Blueblood, you will find it full of marauders to kill. Make your way through the fort until you find the main camp and the leader, take the key from his dead body and open the door nearby (make sure you get all you can from the three bodies though, move the items to bodies earlier in the fort if you have to as those three will disappear after you get the amulet). Inside is a coffin with the amulet Dagail is looking for, but before you can get too far Kalthar appears. He demands you give him the Amulet and tells you that he took the first one to get Dagail removed from her position as he doesn't want to work under someone kept sane by a magical trinket. Kill him as he will then attack you, but not before or he just goes unconscious, and get the key from his body to leave the fort. Return the Amulet to Dagail, as well as the news of Kalthar's treachery/death, and you will receive your recommendation. Skingrad: The last recommendation quest on my list is for Skingrad. Here you have to speak with Adrienne Berene about a fellow guildmate named Erthor to find where he went missing. She is my least liked guild leader because of this quest so ignore any comments I may make about her awfulness. Speak with the other members of the guild to lean that Adrienne told Erthor to practice in a nearby cave (Bleak Flats Cave), Druja tells you where it is on your map if you don't already know. Inside are 7 leveled zombies that you have to kill before Erthor will follow you out of the cave and back to Skingrad. If you choose to have him find his own way back, he does make it safely you just may have to open the rock wall for him by pulling the lever. Erthor has to talk to Adrienne before you get your recommendation and then Erthor is sent back to the cave to practice his magic away from everyone else. Congratulations! You just completed a ton of quests, just to rank up ONE time! Aren't you proud of yourself? This is where the guild gets deadly. All of your quests will be given out from the Imperial city from now on so get used to climbing up the stairs with the purplish magic fire if you continue with this quest-line. You only have to complete one quest for the Journeyman Rank, and it isn't even a very long one either. You just have to go to a little island/cave just outside of the Imperial City to get a Mage's Staff for yourself. Enter the cave so you can speak with one of the mages that will help you, but wait, what's with the dead body and the necromancer? Kill any and all necromancer's you find, make sure you take the Wellspring Key from Zahrasha's body in the first area though or you'll have to backtrack. Once you fight your way to the Door that requires the key you find yourself on an island, and a necromancer kills the other guild member and turns her hatred towards you. Speak with her about her necromancy nonsense and then kill Noveni Othran (the necromancer I just mentioned) and her two buddies. If you have trouble, try entering the cave one will follow you and you can pick them off that way, or you can jump off the cliff into the water (don't die yourself) and they will follow, but then you have to go back through the cave if you didn't get your staff before you jumped. Of course there are other ways, but those two should be good enough if you can't just fight them yourself. Search Eletta's body (the other mage guild member you came to speak with) and retrieve your staff from the chest in the middle of the island and return to Raminus to tell him what happened. This time Raminus Polis tells you to get a book from the Count and if that isn't suspicious enough for you look at the quest name, Ulterior Motives. Of course the Count doesn't regularly accept visitors so speak with Mercator Hosidus when you arrive at Skingrad Castle. The Count doesn't want to meet with you but says to check back in a day to see if he changed his mind. Good News! He wants to meet with you but, suspicious activity ahead, won't meet with you in the castle. He says to go near Cursed Mine at 2am to meet with him, follow your quest compass to find the location, and wait till he shows up. There's even a little sheep for company once the shepherd puts him in his pen. Anywho... It's a trap and Mercator tricked you, the count doesn't even know you are here, and he brought a couple necromancers to get rid of you. They attack and you should defeat them, but the count shows up to fight with you so don't hit him by accident. If you have trouble, run towards the road and the guards will help you. Once defeated the count calls you some words and says you should thank him for saving you, and then you talk about how he suspected Mercator was working with the necromancers and there is no book. The mages guild thought the Count was working with the necromancers and you were supposed to spy on him, return to Raminus with the counts words and he will apologize for lying to you. You will now be able to rank up and receive Spelldrinker Amulet. To get the Conjurer rank you must help out a research team at an Alyeid Ruin named Vahtacen. 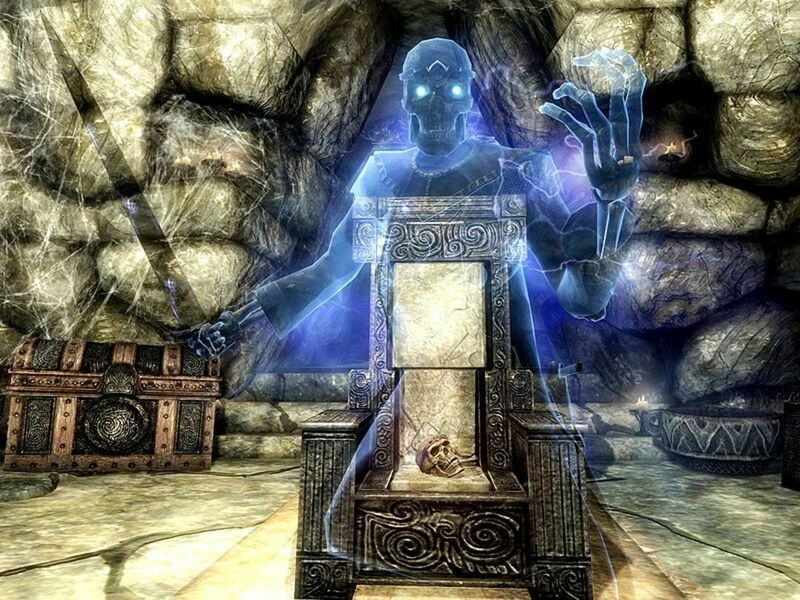 I would take a quick pit-stop at the Spell store in the Imperial City to get a frost spell if you don't already have one, as you will need it. You learn from Irlav Jarol (yes, the guy who writes a bunch of magic books you find everywhere, no autographs though) that there is a research team in need of some checking in on. Go there and talk to Skaleel to learn there is a blocked passage, and she says you should enter to see if you can solve the problem with a warning to use basic spells. Speak with Denel when you reach him to learn that they quit trying to open the pillar after being shocked a few times. He then asks you to get a book from Skaleel to see about translating some markings found in each corner of them room. Once you get the book I recommend either doing them one at a time and writing down what each corner means, but I'll tell you here if you can figure it out without doing it yourself. There are three of the four spells in the chest by Denel, only frost is missing which is why I mentioned getting it beforehand. Now, facing the Pillar from the room Denel is in you want to use a fire spell in the corner on your left, a frost spell on the corner the upper left, a damage magika spell on the upper right corner, and a fortify magika spell on the lower right corner. Distance or Touch, it doesn't matter, but if you use scrolls you may want to save beforehand so you don't have to find another one or wait 4-5 days for the chest to get a new copy. Use them in the order I mentioned as a mistake can kill you since the pillar will zap you. 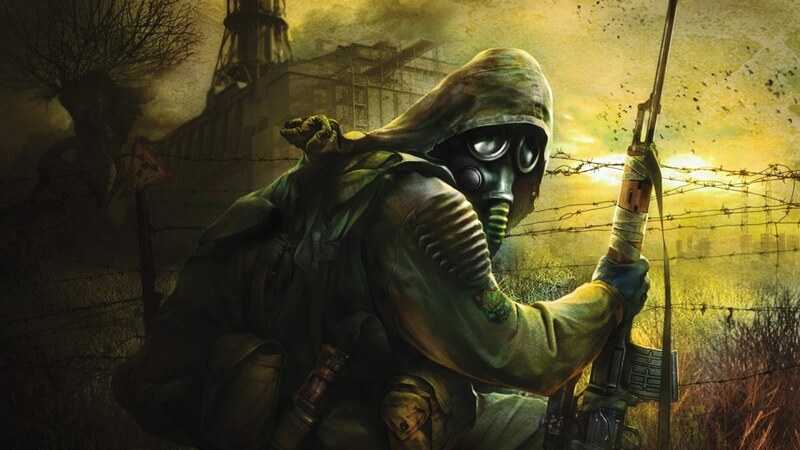 Once it opens speak with either Denel or Skaleel, I choose Denel as he is right there, and they suggest you go down and explore the rest of the ruins. There are spirits down there so bring along a silver weapon or spells that can harm them. There are also traps so watch for those swinging axe things. Eventually you reach a large room with a lot of hanging cages, go to the far end and find the push block after going up the stairs. It raises the stairs on the sides of the middle platform and upon reaching the top a lot of undead will be released in the room. Kill them before or after you push the last push block on the platform and grab the ancient helm. You can also use the walls of the chamber before pushing the first push block and walk along them until you find a lower cage that you can use to jump onto the middle platform with a high enough acrobatics. This way the undead can't reach you until you jump down yourself, but you still have to kill them. Return to the original area and talk to Skaleel about the ancient helm, who tells you to give it to Irlav Jarol. Now return to Raminus and rank up, getting a conjurer robe as well. Becoming a Magician requires completing the quest, Necromancer's Moon. In this quest you have to find out about Black Soul Gems and how they fit into the whole Necromancy cult. Raminus tells you to speak with Tar-Meena about them and at first she seems a bit grumpy since everyone expects a ton of information and nobody is specific enough to get any help. She tells you about a book that Falcar borrowed and may not have returned, fortunately it is in the Library on a small table and you don't have to run around to find it. Return to Tar-Meena with the book and she tells you about an event called "Shade of the Revenant" before you have to return once again to Raminus. He doesn't know what it is but guesses it is a celestial event and sends you off to Bothiel, since she knows all about that sort of thing. She doesn't know much on the Shade of the Revenant but remembers Falcar asked about the same thing, and even dropped one of his notes on his way out, which you must return to Raminus. He tells you to visit one of the places listed on the note, Fissure Cave, at the next Shade of the Revenant event. This cave is South of Cheydinhal and when you finally reach it, there's an altar set up outside. Once a week a purple light shines down on the altar and the ritual can be performed, if you want to know the date without waiting and waiting and waiting it usually occurs every 8 days passed on your stats page (so 1st, 9th, 17th, etc.). If you choose to wait for it, don't be too close to the altar as you may not see the purple light as clearly as when you stand a little far away and can see the altar and the sky. I believe I did it sitting on top of the cave, gazing down at the altar, but it's been awhile. You can also steal the note from the Worm Anchorite who is inside the cave on the left, kill or pickpocket him and take the handwritten note. I prefer to watch the ritual though, but I'm also a bit weird. Your last option is to do it yourself by putting a Grand Soul Gem (empty one) onto the altar and casting a soul trap spell on it when it is the Shade of the Revenant night, but if you do that you might as well just watch the other necromancers do it. When you return to Raminus after witnessing the event and getting the handwritten note, he tells you that you can get advancement (or choose the option yourself) and that Arch-Mage Traven is giving you duties from now on. Make sure you do get promoted or it could cause a bug/glitch. Arch-Mage Traven now has quests for you and the first one lets you rank up to Warlock upon Completion. Make sure you are a Magician before you take this quest though, or it could cause some issues and a missing achievement on xbox. Now that you have settled that problem, listen to Traven ramble about your promise and then get the scoop on your next quest, Liberation or Apprehension. Apparently the guild has set up a spy in the necromancers and we have reason to believe this spy is in danger so you have to go save him. He also believes that a group of Battlemages sent to find him will possibly attack him, thinking he is an actual member of the necromancers. He sends you to the Nenyound Twyll Ayleid ruin to try to prevent harm to the spy (Muscianus). Once you enter it you find the lone survivor of the Battlemages, Fithragaer, and he says the Battlemages were ambushed, obviously not good news for our Muscianus friend. The last Battlemage is eager to fight and tells you to follow him, he runs off and BAM, steps onto a platform that impales him into the ceiling spikes. You can possibly keep him from dying, but there is no reward for it and it could mess up the quest update and your compass marker. You can trigger the trap before he gets there, just avoid letting it take your life, or drain his speed with a spell, or attack him and yield without talking to him again till the quest is finished, but he doesn't have much health so you might as well let him die. Avoid the death trap yourself and make your way through the ruin until you reach a necromancer named Mariette Rielle. She won't attack you so you can talk to her if you want to and learn about the spy's fate, or you can attack her and just get it over with. Once she's dead, hit the switch on the wall to open the door that is holding Mucianus inside. Attempt to talk to him but you can't, he's a zombie. So kill him if you want to and head back to the Arcane University unless you want to get a couple Varla Stones. In the main chamber of Nenyound Twyll Riellesel, there are two varla cages that can be activated by pushing buttons on the two sets of stairs leading to the water. Grab the stones and then return to the Arcane University, speaking to Raminus to rank up to Warlock and get access to the Council Chamber. (Check the note at the end of this section before you start the quest in case you wish to obtain some things that aren't available after you start this quest.) Wizard rank is obtained after completing the quest, A Plot Revealed, wonder if we reveal a plot? Well, let's find out if we do or not. Apparently the Bruma Mages Guild hasn't been communicating with the University for a few days, so go there and see why. (Caution: This part is sad for me since it's my favorite group of guildmates.) You discover that the guild hall is in ruins, lit up in flames, destroyed, whatever you wish to call it. Inside are a few undead so bring along tools to attack them, but if you can't you might be able to get the Bruma guards to attack them or the fighters guild next door. There is one necromancer upstairs that you have to kill, Camilla Lollia, she's still looking for someone and if you remember the Bruma Recommendation quest you might be able to guess who it is. J'skar approaches you after you defeat her and tells you that even though he was invisible he saw everything including the arrival of Mannimarco. J'skar says that Mannimarco killed everyone, drained their souls, and mentioned something about Echo Cave before destroying the Mages guild. He also mentions that the King of Worms (Mannimarco) may have seen J'skar as he looked him in the eye and grinned at him, possibly letting him live so he could tell the council of mages what happened there. Return to the Arcane University to tell Traven what happened and he tells you he needs a few days to process the news and decide what to do now. Speak with Raminus afterwards to rank up and learn the spell Wizard's Fury. *NOTE* Before starting this quest you should read/pickup a book found in the SW Basement of the Bruma guild hall, as it wont' be available anymore once you start this quest. It's called The Wolf Queen, v3 and is an illusion skill book. Also before you start this quest you should buy Summon Dremora Lord from Volanaro as he is no longer available after the quest and is the only one who sells it. Lastly, if you want to invest in every store of the game you should invest with Selena Orania beforehand as she is no longer available afterwards either. To become Master-Wizard, you have two quests to complete, The Bloodworm Helm, and The Necromancer's Amulet. So let's get closer to destroying the Necromancers once and for all, shall we? These can be done in either order so I'll just start with the Bloodworm Helm quest. Arch-Mage Traven will tell you about the council of mages being divided on how to deal with Mannimarco, because of this two artifacts were taken from the Imperial City. Caranya took the Necromancer's Amulet (that's the other quest so look below if you want to recover that one first) and Irlav Jarol has the Bloodworm Helm. You must travel to Fort Teleman (NW of Leyawiin), where you find many necromancers. Assuming that this means Irlav isn't in good health, kill any necromancers you find until you reach the Order of the Black Rose area. Once there you find some necromancers fighting Daedra, stay hidden and they fight themselves but if they see you they will all try to fight you. This is a good time to try out that Wizard's Fury spell you were taught at the end of the last quest. At the end of this area you find Irlav's body, with the Helm still in his possession. (Darn, I never got that autograph on my spell book.) Return to Traven to either advance or start the other half of these quests. Next (or first, depending on your choices) you will have to travel to Fort Ontus, SW of Chorrol, to convince Caranya to return the Necromancer's Amulet. (Avoid doing this quest while Misdirection is active as it will incur a Blood Price with the thieves guild.) Once you are inside some mages assume you are joining their ranks and will guide you to Caranya's location. There you learn she is secretly a necromancer (Shocker!) and she wants you to join her. You two aren't going to budge in your positions so she attacks you, though she shouldn't be much of a challenge to defeat. I do recommend using Resist Magic and/or Silence spells to prevent her from dealing massive damage with her spells or hide behind the gate as that will deflect some of her spells. After you kill her you can take the Amulet from her body and defeat all the mages that are now revealed to be necromancers on your way out. Make sure you don't find any in groups or they can deal quite a bit of damage. Return the Amulet to Traven and either do the other part of this quest or rank up to Master-Wizard. Take the soul gem from Traven's body and head to Echo Cave, far north of the Imperial City, near Bruma. Inside a Dunmer named Bolor Savel will greet you with a threat of sorts, you have to kill him to get the key he mentions having. Follow your compass and kill all the necromancers you encounter, until you reach Mannimarco inside the Necromancer's Chamber. Mannimarco will then paralyze you, and tell you all about his fascination with the souls of people of power and his grief that Traven didn't come himself. He will try to turn you into a Worm Thrall, but with the Soul Gem it won't happen. It doesn't work and you will have to defeat him, somewhat easier than you would think a powerful mage would be as he uses his dagger more than his magic (maybe he's suicidal or doesn't want to live anymore?). He can conjure some powerful undead to aid him in battle so you might want to summon your own if you have the ability. He is essentially immune to normal attacks though or the attacks of summoned creatures, but vulnerable to magic attacks so it must be a magical duel. If you have trouble, jump into the water where he can't reach you and you should have some time to recover and develop a new strategy. Once he is dead return to speak with Raminus Polus with the news to officially become the Guild's Arch-Mage. Congratulations! I don't watch any shows that are in a time period like this and can't think of any besides Merlin. Interesting. I might check it out. I have been meaning to. If it was a TV show, what would you compare it to? It should play well on ps3, it's the only console I haven't played it on personally though I have friends who have and it's great. Personally, I like Oblivion better than Skyrim but I haven't explored it like I have with Oblivion. Of course people still play Oblivion, not everyone can afford skyrim, some like oblivion more, or whatever their reasons are. Does this game play well on ps3? also is V better? If so, do people still play IV?